When it comes to how to count calories there are many different ways. My experience has been that every diet that has ever worked for me has been simply a different way of counting calories. 1. How to count calories with Calorie Cash™ This is simply thinking of a calorie as a penny (100 calories as $1 ) and then rounding off to the nearest 25 cents. By rounding off you can compare calorie to calorie and make a decision based on which food you like best. 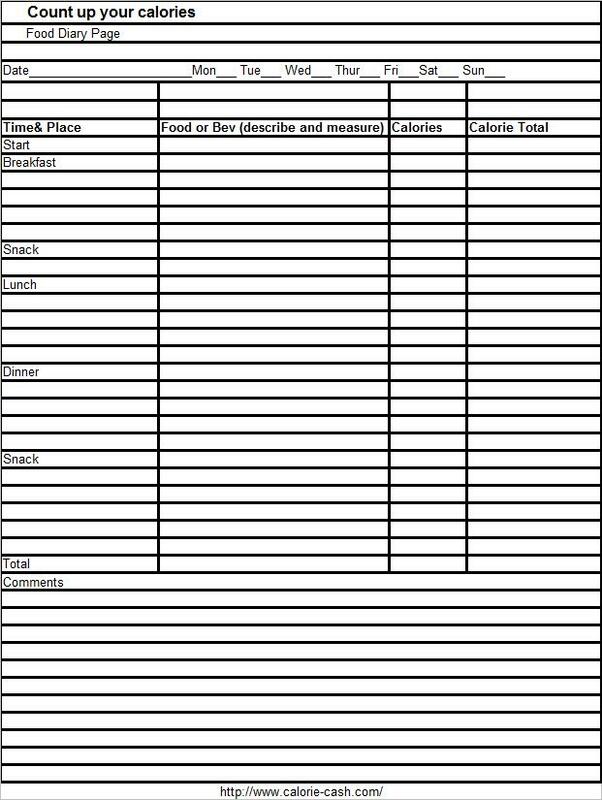 Calorie Cash™ also allows you to to use a check off sheet rather than have to add or subtract every time you consume a food. 2. Counting Calories up This is the most common way. You keep adding up the calories you eat each day until you run out of calories. 3.Counting down This is starting with how many calorie you decide to eat that day and then stopping when you run out of calories. I like this better than counting up, because you know where you stand at any time during the day. 4. Adkins This is a way of eating that says you can not eat any carbohydrates (carbs). This worked for me for just a couple of weeks until I started to buy really big pieces of meat. (several pounds) In other words once I started to eat too many calories, I started to gain weight again. I also felt really unhealthy on this diet. Still it can work for a couple of weeks and can be used as a nice change of pace. 5. Counting Carbs I have never tried this method because I have never seen any research that suggested that the calories in fats and protein can not make you fat. If the Adkins (eating no carbs) did not work for me I can not imagine any way that this could work. Still I must admit that cutting back on the number of carbs that we eat could change ones habits in a very positive way. I have even known some young people (with high metabolisms) losing weight by simply cutting out all bread in their diet. 6. Low Fat Like the Adkins Diet, I have lost some weight with this until I started replacing the high fat foods with low fat foods. In other words if you eat normal but simply eliminate the high fat foods you might lose some weight. 7. Serving Size If you eat healthy foods only and eat only one helping per meal and no snacks, this can work and has worked for me for a few weeks, but then I somehow naturally lean toward higher calorie foods and I quit losing weight. 8. Weight Watchers© (© 2012 Weight Watchers International, Inc.) They use points and point plus… This works but it seems to be not much more than average calories. If you have the time and money this can be good. If you get in with the right group of people they may motivate you. Get in with the wrong group and it can backfire. 9. Meal Plans This is where you let someone else count the calories for you. 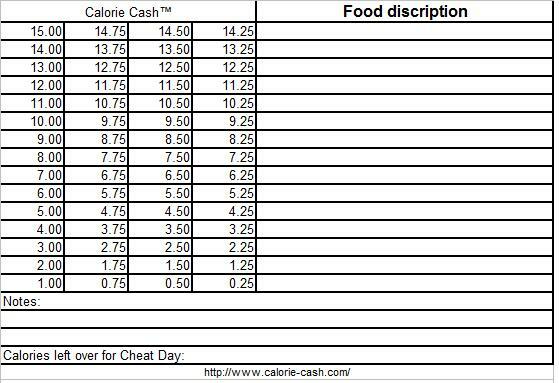 You buy food or meals with just a few premeasured calories in them. Example of this are Nutrisystems© (© 2012 Nutrisystem, Inc.) and Jenny Craig ( jennyCraig.com) Hello! Give a man a fish and you feed him for a day. Teach a man to fish and you feed him for a lifetime. Why not learn. I have been fighting my weight for over 60 years…but I have been winning. 10. Intermittent Fasting where Not only will you eat less food on the days that you fast, you will also break bad habits and develop better habits. See what NPR has to say about Two day partial fasting . Conclusion: Only the first 3 methods have worked consistently for me; therefore, those are the methods that I will cover on this website. I usually lose weight until I figure how to cheat the system. When I say cheat, I mean finding the loop-holes that keep you obeying the rules, but not losing weight. I know, I am only cheating myself. As an example, when I did the Adkins I only ate meat, but I would eat a 3 pound steak at a meal. (too many calories) so I quit losing weight. Many diets use serving size, but I am not the best judge and need to measure every now and then to keep on track. A question that always comes up is: Can I eat more calories if I Exercise? The answer is yes and no. This is tricky because you may have already accounted for the exercise in the way you answered the activity question. The charts put out by such government organizations as national institute of health, USDA, cdc and myplate.gov all assume a certain average amount of exercise. Also remember that even thought we talk about daily calories, it is really the weekly and monthly calories that matter and you will also have some lazy days. You will lose more weight if you do not constantly tweak. I have filled out the chart so that you can see how it works. 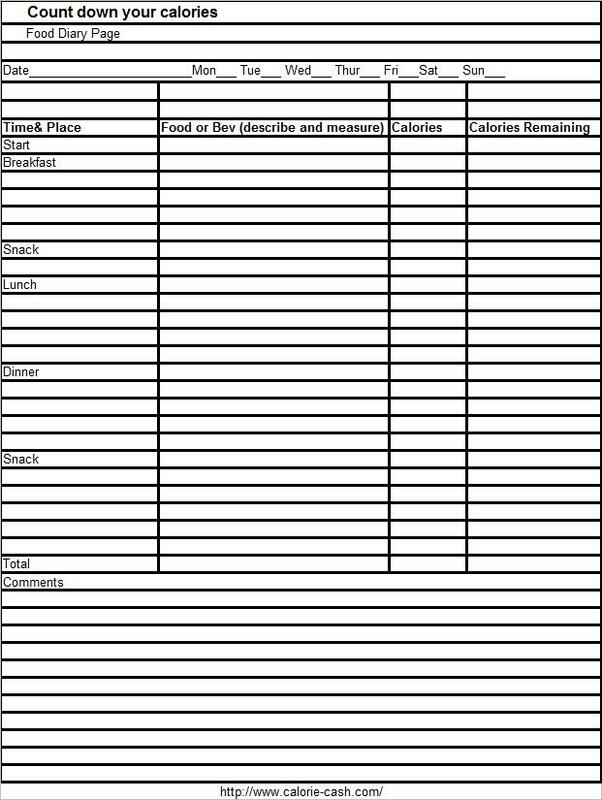 Click here for : A pdf form of how to count calories down. It is not that hard so just print a form and get started. Do not spend all your time on one of those weight lose sites; spend it doing something constructive like exercising instead. After all the less time you spend thinking about food and dieting the better.